We recently took a drive down to Madison, Georgia for a little R&R. Our pal Bo Chance said we should check out the town for some ideas we might want to introduce to Blue Ridge. What a charming place. And while I have some great ideas for some new online ventures to help local farmers and consumers connect, some of my best ideas came from 100-Acre Farm. 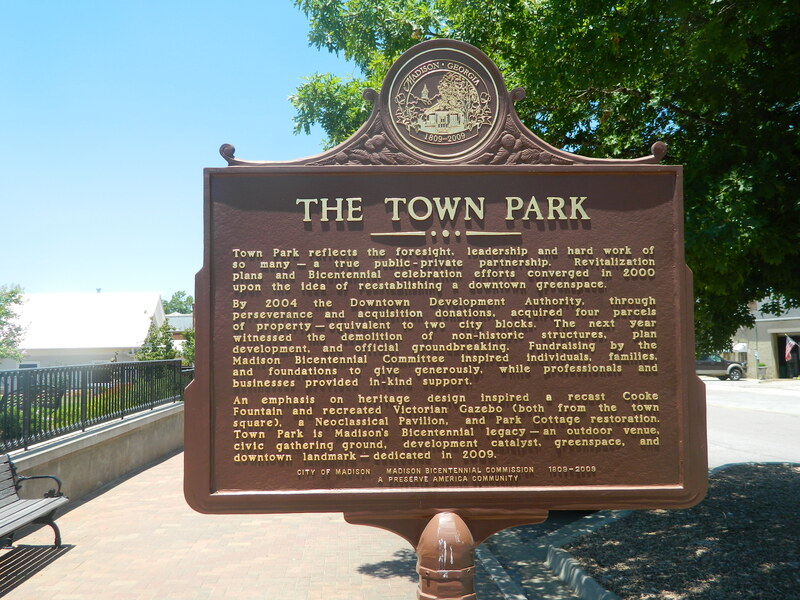 The Center of Madison features a fabulous Town Park, recently developed, which adds to the community charm. 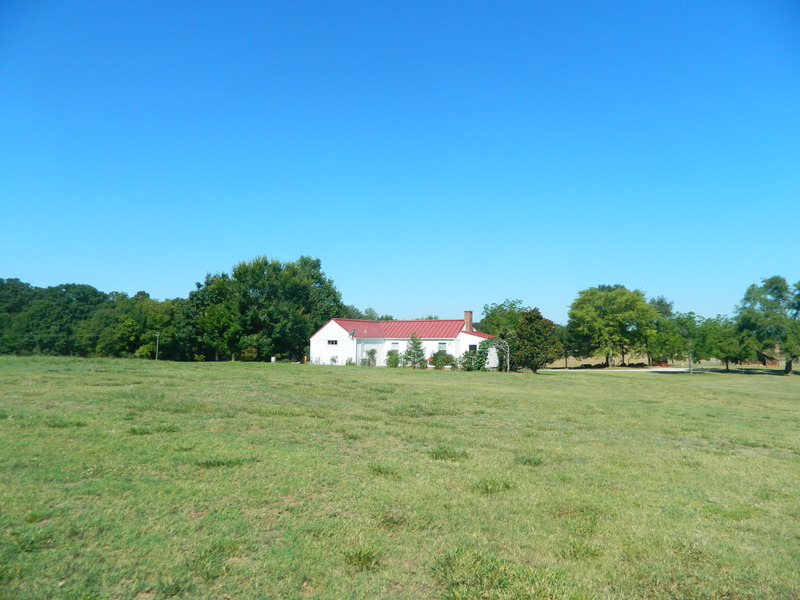 The Farmhouse Inn at 100 Acre Farm. Our quick two-night adventure brought us through Atlanta to southeast Georgia, a stone’s through from Athens. We found a great farm stay online – The Farmhouse Inn at 100 Acre Farm, packed up Josh and Danny and some snacks and hit the road. The Inn itself includes five private guestrooms and a five bedroom farmhouse. Plus there are meeting rooms, a great outdoor terrace and beautifully landscaped garden area – perfectly coiffed with rustic charm. Danny and I took back some great garden ideas, along with 17 pounds of blueberries and enough Thai eggplant to feed the whole of Blue Ridge. It’s a simple and pretty drive once you get past Atlanta with lots of farm country and tiny towns to give you some geographical lessons along the way. Madison itself is a town preserved in history. We hadn’t done much research when we hit the road other than looking for farms that raise chickens, beef and checking out local cheesemakers. So when we started seeing the beautifully preserved architecture of Madison we were in heaven. There are fine examples of Antebellum homes in Madison, all due to the fact that during the Civil War Joshua Hill, a Madison attorney, former U.S. Senator and staunch Unionist, travelled through Federal lines and met General Sherman at his headquarters. An agreement was reached and Union forces spared Madison. Post Civil War architecture also abounds, during the 1880’s and 90’s many Victorian homes were built, enhancing the charm of a town already replete with fine ante-bellum structures. In 1895, the Madison Graded School was completed. The massive neo-Romanesque structure with its central bell tower was the South’s finest small town school building. These structures and more await in Madison. But what I really wanted to talk to you about is the chicken coop at 100 Acre Farm. It gave me coop envy. And if I showed my girls these pictures, they would surely work in flying or walking south. 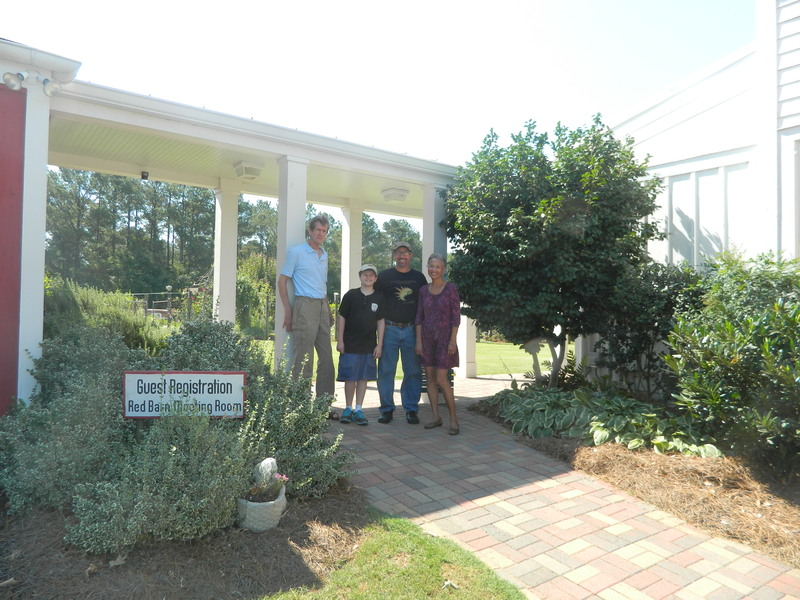 Josh and Danny Mellman joined Ellis and Crystal Johnson outside the Red Barn at 100 Acre Farm. She’s a bit like I am, walking that fine line between pet and barnyard animal. That might explain this coop. It’s a renovated old barn that existed pretty much before anything else on the property. It’s equipped with self-waterers, a fabulous wall of nesting boxes, and rows upon rows of rustic ladder-styled roosts. Add to that the fact the girls have the run of the farm in their coop area, sharing space with cows and turkeys and a couple of ornery goats. I was guilt-ridden watching their joyful jaunts. Unlike my space where the girls are under close watch to keep them out of the garden. (Crystal did confide the sometimes has a daring escapee who makes the 300 yard dash toward the vegetable garden, but for the most-part most of their bad scratching can be discovered just behind Crystal and Ellis’ cottage which is why she’s given up growing anything truly chicken-delightful in close proximity). I watched for hours as the 300-plus birds – Barred Rocks, Reds and Araucanas, darted about, or strolled slowly, depending on their mood. 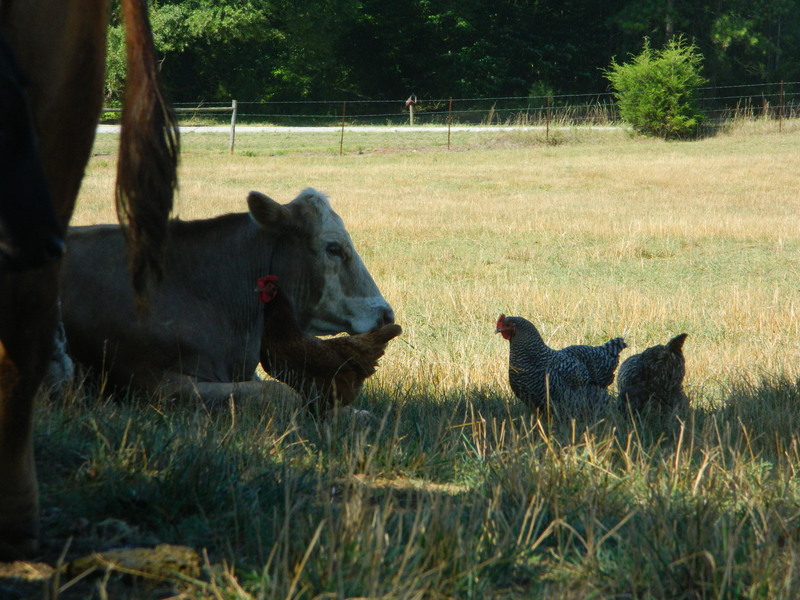 Anyway, there’s lots more to do at 100 Acre Farm than simply play with chickens and read a book, although I am not sure why you would want to do anything else but that. Josh did finally catch his first fish on a fly rod in one of the farm’s two fishing ponds (the Apalachee River makes for another fine fishing hole on the property). 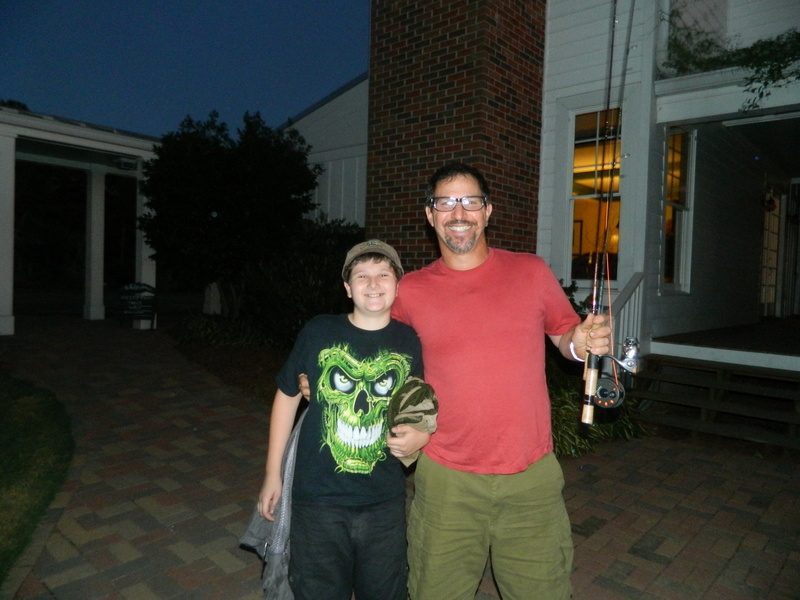 It was difficult to determine what Dad and son were more excited about when they returned after dusk that second day – Josh’s fishing accomplishment or seeing an actual beaver diving down into its lodge. 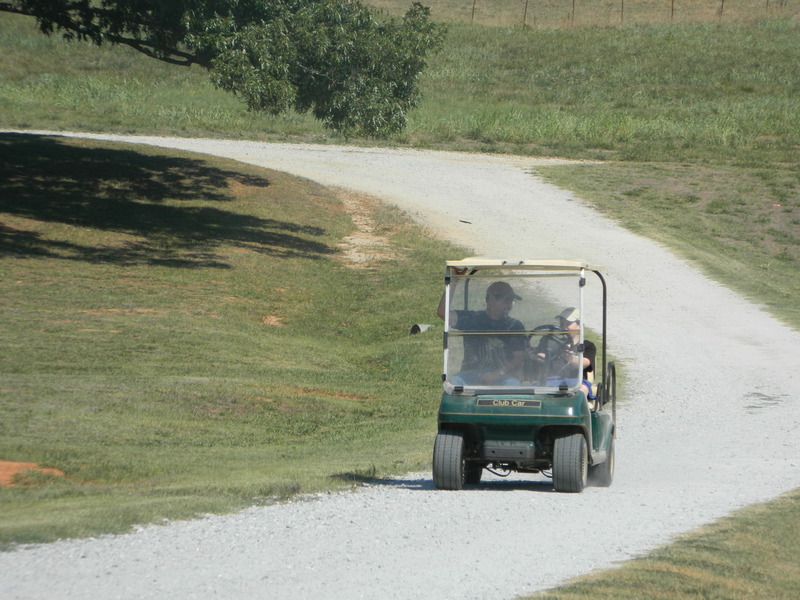 And of course Josh was pretty revved up about driving a golf cart about and chauffeuring his Dad for a change that was simply the blueberry preserve topping to a perfect southern day in Georgia. 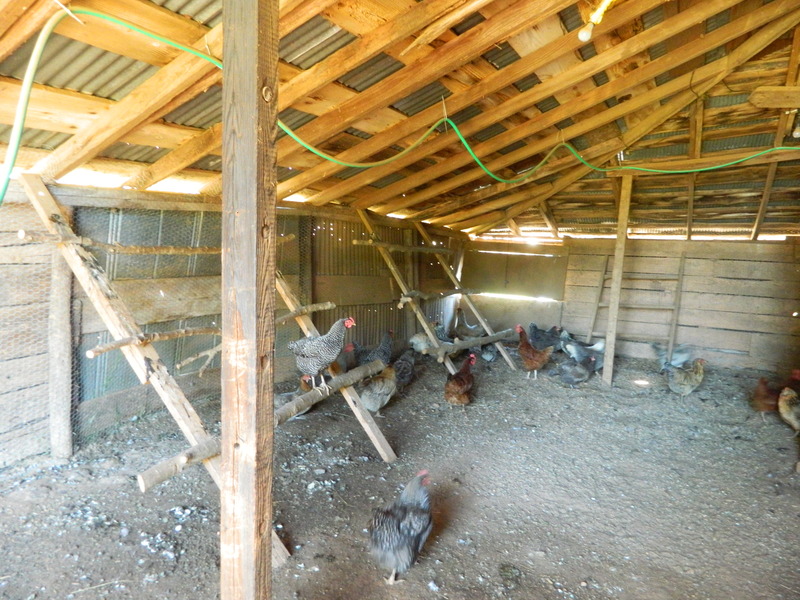 If you have a really cool chicken coop to show off – share it with us at The Cook’s Farm on Facebook! I was inspired to make some renovations to ours, while we’re also building our Goose Patch and Rabbit Hutch areas…so stay tuned! The boys after a great day of fly fishing!